Just about every writer and photographer, artist and filmmaker I know has quietly thanked Steve Jobs at one point in their process. 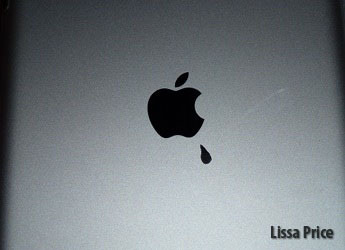 I can’t imagine my life without my Macs, Final Cut Pro, Macbooks, iPhones and finally iPad. Steve, your tools were intuitive and smooth, and even when they didn’t always function perfectly, they were still better than anything else. I’m trying not to feel like an era is over. Disneyland and Disneyworld thrived long after Walt was gone. Steve, you were such a visionary. I’m hoping you left Apple with documents of your dreams of the future. Next Post: STARTERS Cover Reveal!